Christmas Greetings Cards in Packs of Five. The 2017 Regimental Christmas card is now for sale. 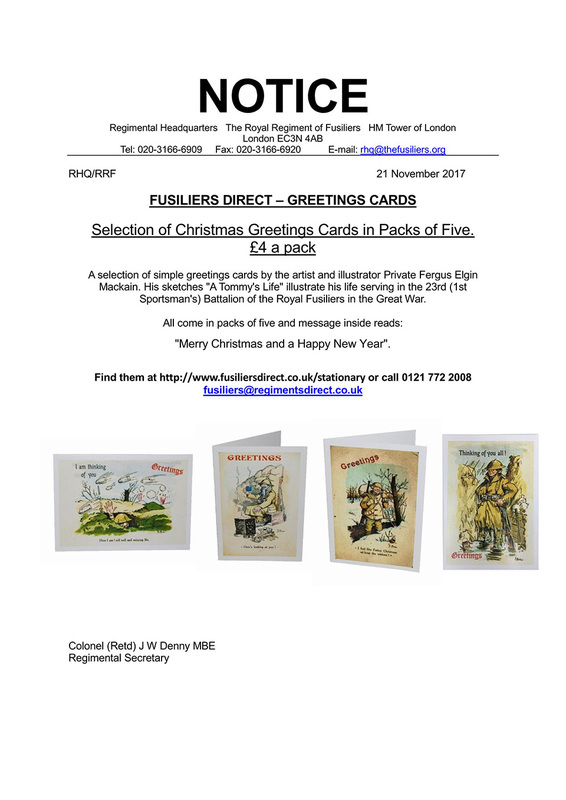 The cards are now being sold through Fusiliers Direct, the Regimental PRI. Please note that if you order during the 'Black Friday' special deal on all stock then you will receive the 25% discount offer - £3 for a pack of 5 as opposed to £4.